英文摘要：Objective In order to develop a novel effective immunomodulator to enhance pig resistance against post-weaning multisystemic wasting syndrome, we used the recombinant plasmid co-expressing the pig interleukin-2 (IL-2) and fusion interleukin-4/6 (IL-4/6) proteins which we constructed before, and studied its effect on immune response of piglets. Methods The recombinant plasmid was first encapsulated in chitosan nanoparticles by the ionotropic gelation method, and generated VRIL-4/6-2-CS. Then piglets were divided into 2 groups and intramuscularly injected with VRIL-4/6-2-CS or saline followed by the injection of pig circovirus-2 (PCV-2) vaccine, respectively. The blood was collected from each piglet on days 0, 7, 14 and 28 to assay the immunological changes. Result The number of IgG2a, CD4+, CD8+ T cells increased significantly in the sera or blood of piglets that treated with VRIL-4/6-2-CS (P<0.05). Furthermore, the expression levels of IL-2, IL-4, IL-6, TNF-α, TLRs (TLR-2, 7) and STATs (STAT-1, 2, 3) genes elevated significantly in the piglets that treated with VRIL-4/6-2-CS (P<0.05). Although no significant differences were observed in the levels of PCV-2-specific antibody, the growth performance of VRIL-4/6-2-CS treated piglets was remarkably improved in comparison with that of control (P<0.05). Conclusion VRIL-4/6-2 entrapped in chitosan is a promising effective adjuvant to promote the immune responses of pig vaccinated with PCV-2. Joseph S, David W, 黄培堂, 等. 2002. 分子克隆实验指南(第三版)[M]. 北京:科学出版社:32-36. 杨璐一, 肖永乐, 万小平, 等. 2014. 猪白细胞介素2与融合白细胞介素4/6基因共表达的免疫效应研究[J]. 四川动物, 33(2):167-173. Abbas AK, Murphy KM, Sher A. 1996. Functional diversity of helper T lymphocytes[J]. Nature, 383(6603):787. Allan G, McNeilly F, Ellis J, et al. 2004. PMWS:experimental model and co-infections[J]. Veterinary Microbiology, 98(2):165-168. Beach NM, Meng XJ. 2012. Efficacy and future prospects of commercially available and experimental vaccines against porcine circovirus type 2 (PCV2)[J]. Virus Research, 164(1):33-42. Bodmeier R, Chen H, Paeratakul O. 1989. A novel approach to the oral delivery of micro-or nanoparticles[J]. Pharmaceutical Research, 6(5):413-417. Buschmann MD, Merzouki A, Lavertu M, et al. 2013. Chitosans for delivery of nucleic acids[J]. Advanced Drug Delivery Reviews, 65(9):1234-1270. Chae C. 2005. A review of porcine circovirus 2-associated syndromes and diseases[J]. The Veterinary Journal, 169(3):326-336. Chew JL, Wolfowicz CB, Mao HQ, et al. 2003. Chitosan nanoparticles containing plasmid DNA encoding house dust mite allergen, Der p 1 for oral vaccination in mice[J]. Vaccine, 21(21):2720-2729. Collins R, Oldham G. 1993. Recombinant human interleukin 2 induces proliferation and immunoglobulin secretion by bovine B-cells:tissue differences and preferential enhancement of immunoglobulin A[J]. Veterinary Immunology and Immunopathology, 36(1):31-43. Cui Z, Mumper RJ. 2003. Microparticles and nanoparticles as delivery systems for DNA vaccines[J]. Critical Reviews in Therapeutic Drug Carrier Systems, 20(2-3):103-137.
de Felipe P, Ryan MD. 2004. Targeting of proteins derived from self-processing polyproteins containing multiple signal sequences[J]. Traffic, 5(8):616-626. Devriendt B, Stuyven E, Verdonck F, et al. 2010. Enterotoxigenic Escherichia coli (K88) induce proinflammatory responses in porcine intestinal epithelial cells[J]. Developmental & Comparative Immunology, 34(11):1175-1182. Egwuagu CE. 2009. STAT3 in CD4+ T helper cell differentiation and inflammatory diseases[J]. Cytokine, 47(3):149-156. Erb KJ, Rüger B, Von Brevern M, et al. 1997. Constitutive expression of interleukin (IL)-4 in vivo causes autoimmune-type disorders in mice[J]. Journal of Experimental Medicine, 185(2):329-340. Fernández EF, Santos-Carballal B, Weber WM, et al. 2016. Chitosan as a non-viral co-transfection system in a cystic fibrosis cell line[J]. International Journal of Pharmaceutics, 502(1):1-9. Fort M, Fernandes LT, Nofrarias M, et al. 2009. Development of cell-mediated immunity to porcine circovirus type 2 (PCV2) in caesarean-derived, colostrum-deprived piglets[J]. Veterinary Immunology and Immunopathology, 129(1):101-107. Fort M, Olvera A, Sibila M, et al. 2007. Detection of neutralizing antibodies in postweaning multisystemic wasting syndrome (PMWS)-affected and non-PMWS-affected pigs[J]. Veterinary Microbiology, 125(3):244-255. Ge X, Wang F, Guo X, et al. 2012. 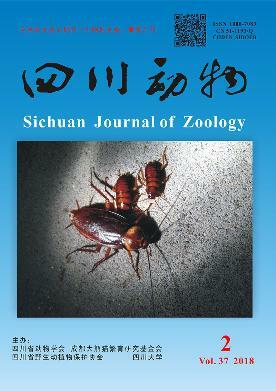 Porcine circovirus type 2 and its associated diseases in China[J]. Virus Research, 164(1):100-106. Gillespie J, Opriessnig T, Meng X, et al. 2009. Porcine circovirus type 2 and porcine circovirus-associated disease[J]. Journal of Veterinary Internal Medicine, 23(6):1151-1163. Huang J, Chen JL, Wang Y, et al. 2013. Enhancement of the immunity of piglets to pseudorabies vaccine with plasmids containing interleukin-6 gene and CpG motifs encapsulated in chitosan nanoparticles[J]. Procedia in Vaccinology, 7:8-14. Huang M, Fong CW, Khor E, et al. 2005. Transfection efficiency of chitosan vectors:effect of polymer molecular weight and degree of deacetylation[J]. Journal of Controlled Release, 106(3):391-406. Kayamuro H, Yoshioka Y, Abe Y, et al. 2010. Interleukin-1 family cytokines as mucosal vaccine adjuvants for induction of protective immunity against influenza virus[J]. Journal of Virology, 84(24):12703-12712. Kishimoto T. 2006. Interleukin-6:discovery of a pleiotropic cytokine[J]. Arthritis Research & Therapy, 8(2):S2. Kishimoto T. 2010. IL-6:from its discovery to clinical applications[J]. International Immunology, 22(5):347-352. Li D, Chen JL, Zhang H, et al. 2011. Improvement of the immunity of pig to hog cholera vaccine by recombinant plasmid with porcine interleukin-6 gene and CpG motifs[J]. Vaccine, 29(22):3888-3894. Meerts P, Misinzo G, Lefebvre D, et al. 2006. Correlation between the presence of neutralizing antibodies against porcine circovirus 2 (PCV2) and protection against replication of the virus and development of PCV2-associated disease[J]. BMC Veterinary Research, 2(1):6. Mitchell TJ, John S. 2005. Signal transducer and activator of transcription (STAT) signalling and T-cell lymphomas[J]. Immunology, 114(3):301-312. Mosmann TR, Coffman RL. 1989. Heterogeneity of cytokine secretion patterns and functions of helper T cells[J]. Advances in Immunology, 46:111-147. Oswald IP. 2006. Role of intestinal epithelial cells in the innate immune defence of the pig intestine[J]. Veterinary Research, 37(3):359-368. Pasquini S, Xiang Z, Wang Y, et al. 1997. Cytokines and costimulatory molecules as genetic adjuvants[J]. Immunology & Cell Biology, 75(4):397-401. Paul WE, Seder RA. 1994. Lymphocyte responses and cytokines[J]. Cell, 76(2):241-251. Paul WE. 2015. History of interleukin-4[J]. Cytokine, 75(1):3-7. Segalés J, Allan GM, Domingo M. 2005. Porcine circovirus diseases[J]. Animal Health Research Reviews, 6(2):119-142. Shuai K, Liu B. 2003. Regulation of JAK-STAT signalling in the immune system[J]. Nature Reviews Immunology, 3(11):900-911. Smith KA. 1988. Interleukin-2:inception, impact, and implications[J]. Science, 240(4856):1169. Steen HC, Gamero AM. 2013. STAT2 phosphorylation and signaling[J]. Jak-Stat, 2(4):e25790. DOI:10.4161/jkst.25790. Szymczak AL, Vignali DA. 2005. Development of 2A peptide-based strategies in the design of multicistronic vectors[J]. Expert Opinion on Biological Therapy, 5(5):627-638. Wang YP, Liu D, Guo LJ, et al. 2013. Enhanced protective immune response to PCV2 subunit vaccine by co-administration of recombinant porcine IFN-γ in mice[J]. Vaccine, 31(5):833-838. Yang X, Sun WK, Chen WL, et al. 2010. Promotion of the immunity of piglets to hog cholera vaccine induced by shuffled pig interleukin-2 gene and CpG immunostimulatory sequences encapsulated in chitosan nanoparticles[J]. Procedia in Vaccinology, 2(1):51-59. Yang X, Xiao YL, Chen JL, et al. 2013. Potentiation of immunity of piglets to mycoplasma hyopneumoniae vaccine with fused gene for pig IL-4 and IL-6 embodied in chitosan nanoparticles[J]. Procedia in Vaccinology, 7:15-22. Zhang H, Cheng C, Zheng M, et al. 2007. Enhancement of immunity to an Escherichia coli vaccine in mice orally inoculated with a fusion gene encoding porcine interleukin 4 and 6[J]. Vaccine, 25(41):7094-7101. Zhang HB, Wan XP, Bai GM, et al. 2012. Improvement of the immunity of piglets to PRRS vaccine by a porcine IL-4 and IL-6 fusion gene encapsulated in chitosan nanoparticles[J]. Procedia in Vaccinology, 6:113-124.